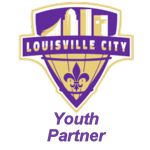 SIU offers the only Select (Travel) soccer program in the Louisville Metropolitan area representing Southern Indiana for boys and girls ages 9-19. The program is for youth who want to play at a higher level of competition and further individual development. Participation at older age groups prepares youth to play at the next level. SIU will be having Select (Travel) tryouts over a two-week period of time. If you are born in 2009, 2010, or 2011, your tryout will be on June 5 th and 6 th from 6-8 pm at Binford Park in New Albany. This is for both boys and girls in the 9U, 10U, and 11U age groups. If you were born 2001-2008, your tryout will be the week of June 10 th . Girls tryouts will be held Monday and Wednesday from 6-8pm. Boys tryouts will be held Tuesday and Thursday from 6-8 pm. 15U, 16U, 17U, and 18U will tryout at Silver Street Park in New Albany. 12U, 13U, 14U, will be held at Binford Park. Please plan on attending both of your designated days. The registration fee is $10.00, which covers the cost of the tryout shirt and other administrative costs. Onsite registration will be available but will add significant time to your check-in process. Checks and cash payments only will be accepted on the day of tryouts. All checks and cash payments should be brought to the field on the day of tryouts. ALL PLAYERS NEED TO REGISTER, even if you made a team in the previous season. Please bring a ball, shin guards, water, and outdoor shoes to tryouts. If you cannot attend try-outs in person, you still need to register. Just mark the box on the registration form that you will not be attending. Rosters will be published on the SIU website the week after tryouts are completed. The coach who evaluated the age group will notify players not asked to be on a team. Tryouts in November will only occur to complete a roster. SIU coaches will select the best players for each team. Players will be placed on teams at their age level based primarily on their soccer skills. Moving players from one team to another or playing up in age will be viewed as an exception to the rule. Any player placement issues should be addressed with the VP Select and the Director of Coaching. Once players have accepted a position, they are committed to SIU for the seasonal year (Fall and Spring for full year players). ©2019 Southern Indiana United Soccer Club / SportsEngine. All Rights Reserved.